Back when I was just a lad, I remember that my first computer was a Commodore VIC 20. Â I didn’t know anything about bits and bytes at the time; I was simply fascinated that this box could make noises, play games and could play on a TV! It was pretty cool when I was a kid and I have to say there was something about it that had me hooked. 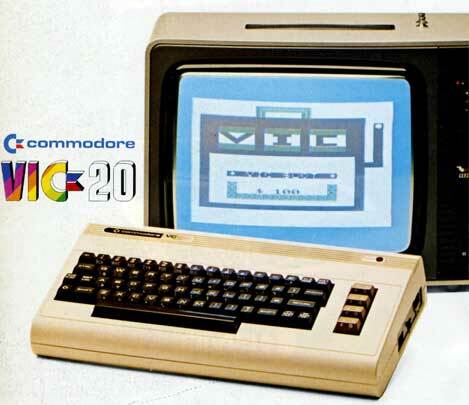 Â Did you know the 20 in the VICÂ 20 refers to the amount of RAM it had? At the time it had an amazing 20K! Â That’s right, 20 kilobytes. Â At this point I have typed about 400 characters not including spaces. Â Assuming I was using 8 bits per byte; that would mean that I am using close to 3K just to store this entry so far [without pictures]. Â Needless to say, with only 20K, the computer that I was using as a kid was much more limited in capacity than the one I am using now which has 4GB or 4,000MB or 4,000,000KB. Â That’s 200 thousand times more capacity and this is actually considered an average amount of RAM by todays standards. I understand that 1,000 GB = 1 TB (terabyte) and 1,000 TB = 1 PB (petabyte) and that 1000 of those equals 1 EB (exabyte). Â It’s amazing to think about how much storage that would really be. Â I remember when we were putting in a SAN and the 500GB drives quickly added up to 7TB per shelf! Â The entire rack fully populated with larger drives maxed out around 120TB I think. Â Yeesh!! The crazy thing is that the next model out is bigger and it seems like there is no stop in sight. Â Its getting faster too. Â It used to take 5-7 minutes to load something into that 20K of memory back in the day; probably because I had to store all of my programs on audio cassette tapes [remember LOAD *.*,8,1??]. Well! Would you look at that! Â The 6210 NetApp filer supports up to 2400TB!! Why thats 2.4 PB… very interesting. Â Now I wonder why NetApp has decided to not state 2.4 PB in their technical specifications. Perhaps it is because the industry is too young and nobody has heard of a PB yet. Â Or perhaps it is because they are actually selling a “peta-filer”. Â I guess whoever was assigning prefixes to largeÂ theoreticalÂ number sizes never considered that one. Â Whatever you do, don’t attach a child node to a peta filer! LOL! Hey, don’t judge me, I’m merely pointing out anÂ anomalyÂ in aÂ changing system.